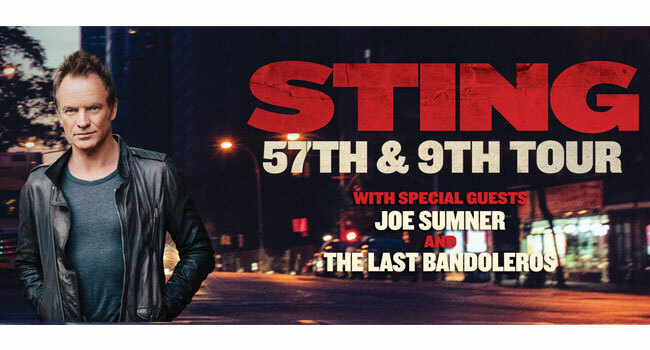 British singer Sting will be in concert in Barcelona next March 21 to present his latest album “57th & 9th”, with a tour that bears the same name and that will go around the United States and Europe. The title of Sting’s new album, “57th & 9th”, refers to a street intersection that the musician crossed each day on his way to his recording studio at Hell’s Kitchen in Manhattan. The album contains autobiographical themes such as “Heading South on the Great North Road” and shows concern about the refugee crisis with “Inshallah”. But overall, it’s a much rockier album than his previous one with tracks like “Petrol Head”, “50,000” and “I Can not Stop Thinking About You”, composed by himself. 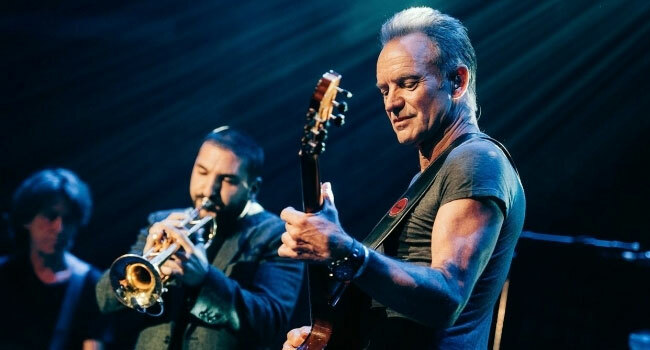 Sting’s concert in Barcelona will be held on March 21 at the Sant Jordi Club starting at 8:00 p.m. Sting will be accompanied by a band of 3 musicians and will count with the participation of two supporting artists: Jose Summer and the group of Tex Mex “The Last Bandoleros”. Enjoy Sting and sleep in our hotel. Book now! BOOK NOW DIRECTLY WITH US! Hello Mobile World Congress 2019!